THE PERFECT GIFT THIS VALENTINE’S DAY. 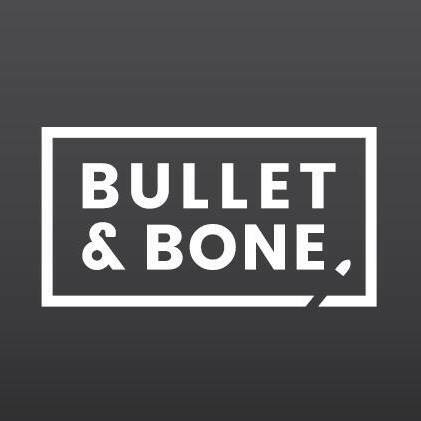 BULLET & BONE IS A NEW CONCEPT IN SPORTS SKINCARE THAT AIDS EXERCISE PREPARATION, PERFORMANCE & RECOVERY, AND SMELLS GOOD TOO! What would you like to receive this Valentine’s Day? 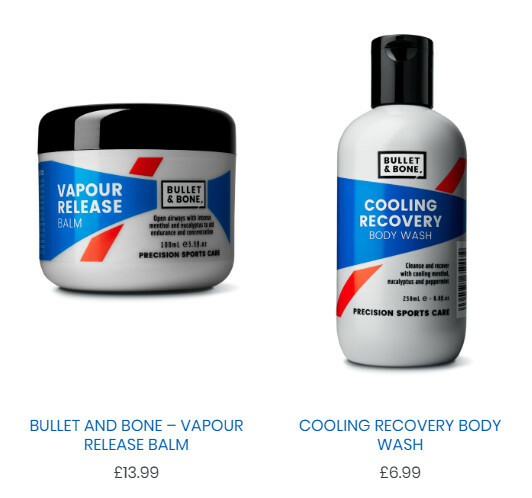 Look no further than new Bullet & Bone – the breakthrough sports skincare brand comprising of four, premium products designed to help us prepare, perform and recover, when working out and playing competitive sport. 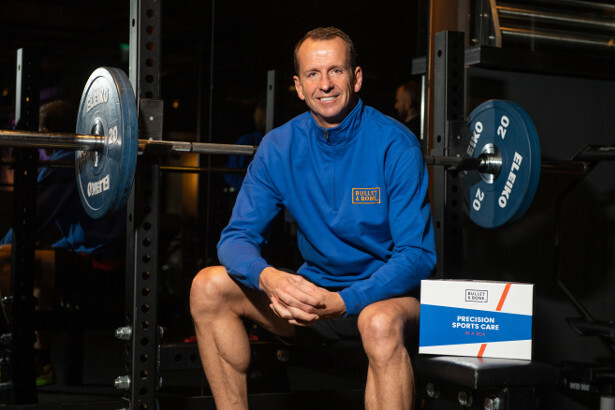 The range has been endorsed by world-renowned sports scientist, physical activity expert and former Olympian, Professor Greg Whyte OBE. Each product is infused with a unique blend of potent, natural extracts known to improve stamina, speed, alertness, concentration and recovery. The muscle activating rub, vapour release balm, protective moisturising spray and cooling body wash are available as a sleek set of four. The gift set is an essential for athletes and fitness fanatics of all ages and is the ideal present this Valentine’s Day. “As a sports scientist and former Olympian, I’m often asked for advice on how to achieve marginal gains. Getting the most out of your session takes more than just hard work. I was pleased to learn that Bullet & Bone addresses a gap in the market with a range of products specifically designed to optimise your preparation, your session and your recovery. 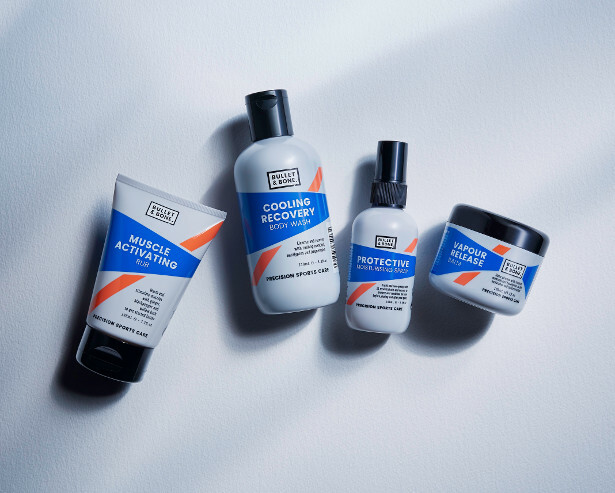 Developed, tested and manufactured at state-of-the-art facilities in the UK by a team of experts with over 40 years’ experience, this male grooming ‘equipment’ harnesses the natural efficacy of ingredients such as Siberian ginseng, geranium and taurine. All products get off the starting block with a trio of active ingredients, unique in combination to Bullet & Bone, in maca extract: offering multi-functional properties that help boost performance, endurance and recovery (while also performing a barrier function for the skin); magnesium: which aids energy production and muscle rehabilitation and jasmine, to aid alertness and concentration. Further components in the ranges are tailored and engineered to assist with those all-important marginal gains in the gym and maximise performance in competitive sport. 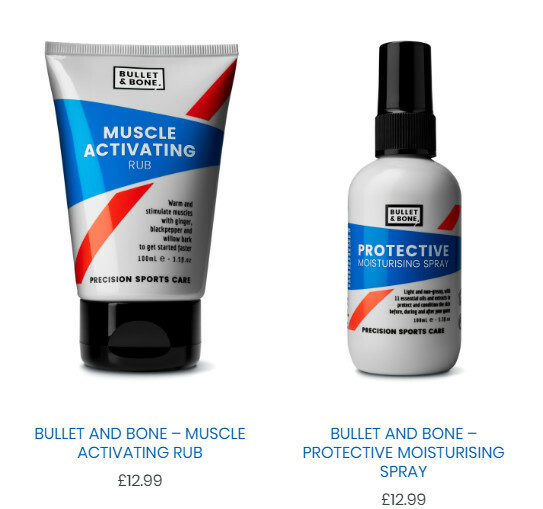 Bullet & Bone Muscle Activating Rub will give muscles and joints an instant kick-start using rapidly absorbed, warming and stimulating ginger, black pepper and willow bark. Bullet & Bone Protective Moisturising Spray channels the efficacy of 11 essential oils in a light weight, non-greasy formula that provides protection from the elements and can be reapplied before, during and after being active. It’s also lightly fragranced with fresh aloe vera and jasmine to aid concentration and focus. Bullet & Bone Vapour Release Balm is the first of its kind to perform functionally and be pleasurable to apply and wear on the skin. The soft wax opens the airwaves with menthol and eucalyptus extracts while jasmine, lemon and coffee beans enhance concentration, alertness and stamina. After a workout, the Bullet & Bone Cooling Recovery Body Wash will aid cooling down and muscle recovery. Magnesium Sulphate (Epsom salts) aids muscle recovery while menthol, eucalyptus and peppermint alongside essential oils pack a punch to ensure this high performing wash will stop perspiration, revive and ensure you’re ready to go. Bullet & Bone will help ease you into a workout after a long day in the office or maximise performance ahead of competing on track or field. These results-driven products are like no other, combining the benefits of sports science know how and high-performance personal care, each variant is carefully designed and packaged to seamlessly fit in with both your high-octane lifestyle and sports bag. The innovation was informed by Bullet & Bone’s recognition that time poor, active men will invest in the latest sporting equipment, gadgets and food supplements to enhance their sporting prowess, but there’s a gap in the market for potent, ‘all-in-one’ skincare tools that help to warm up, optimise performance and cool down. Those around you will also appreciate the very pleasant and gentle, aromatic essential oils infused in each, especially this Valentine’s Day. The Bullet & Bone gift set can be purchased exclusively from www.bulletandbone.com and has a RRP of £39.99. Individual products are available from www.thegroomingclinic.com and Amazon.